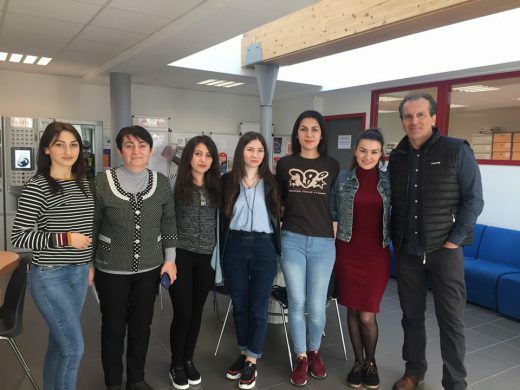 From March 18 to April 8, several students of Ijevan Branch of Yerevan State University (the 4th year student of “French Language and Literature” specialty Emma Shahnazaryan, Luara Gevorgyan, Lusya Ghaltakhchyan, “French Language and Literature” 3rd year student Hranush Davtyan and “Service” 3d year student Mariam Meliksetyan), headed by Assistant Professor, PhD, Head of French language and Literature Department Aida Mardanyan take part in trainings to improve their knowledge of French at the Maestris University in Valence, France. On March 18, at 11:00 , the plane landed at Lyon Saint-Exupery airport. 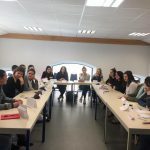 YSUIB representatives were warmly welcomed and they went to Valence. Guests were welcomed at the “Rapido” restaurant by Nubar Keshishyan, President of the Armenian Cultural Heritage Center. 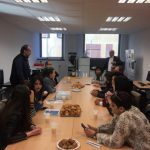 N. Keshishyan introduced the group’s members to the program of the visit, after which they left for host families. 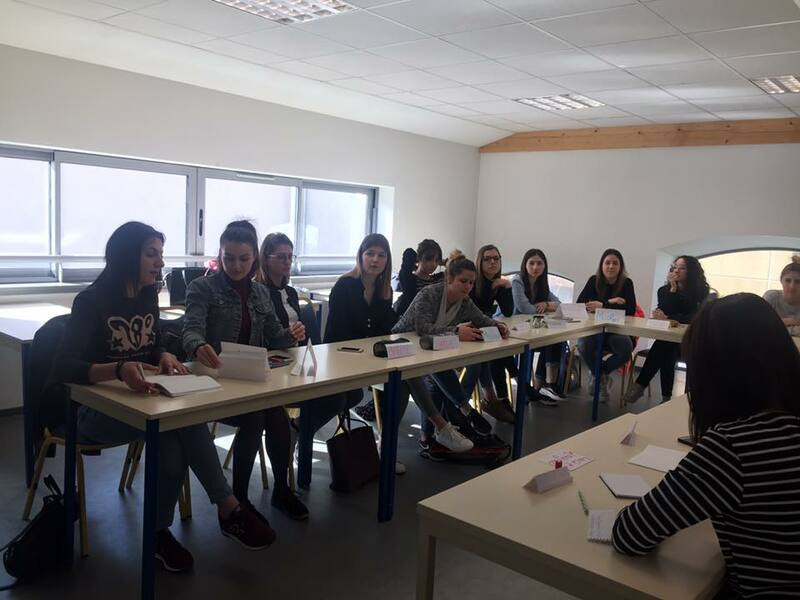 On the next day, on March 11th, the university students received a beautiful reception at the Maestris High School, attended by host families, N. Keshishyan, Deputy Mayor F.Domman, faculty members. 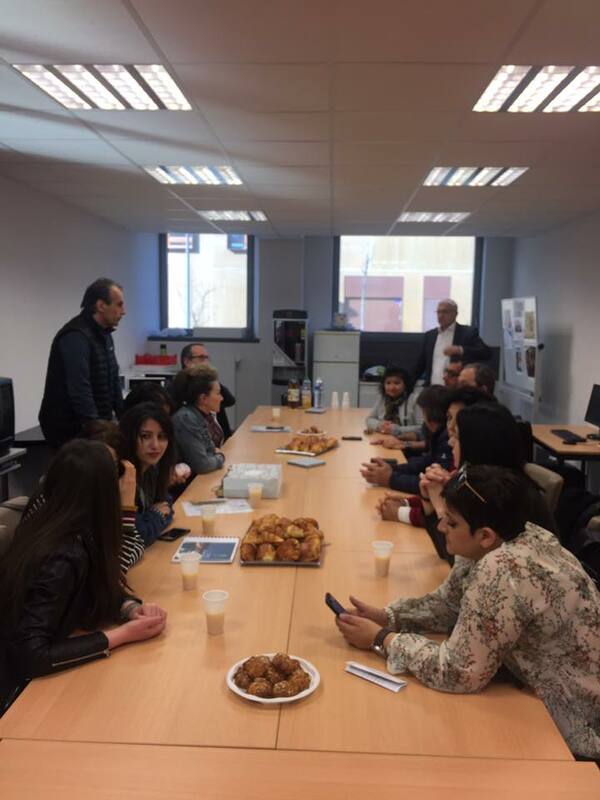 Nubar Keshishyan and the director of the High School Philip Cartien welcomed YSUIB representatives. 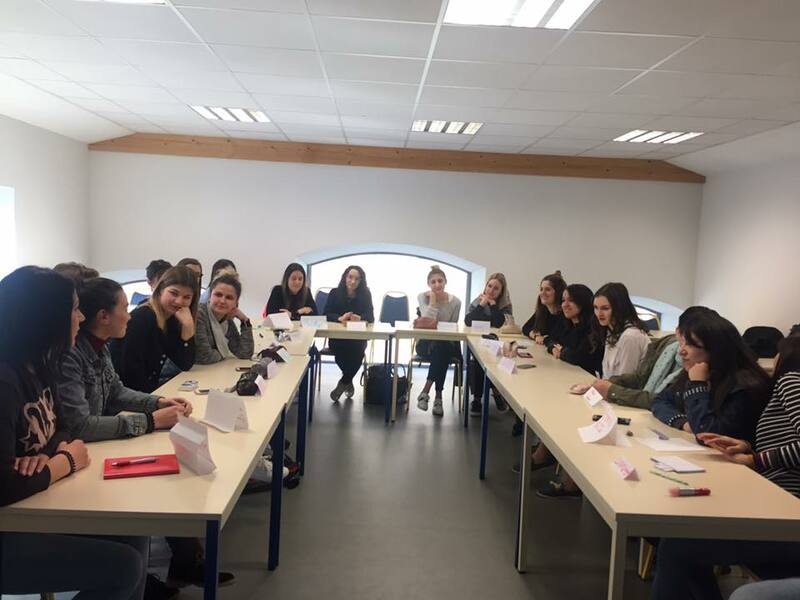 Then the group leader A.Mardanyan made a speech and conveyed her gratitude to the whole team for organizing this beautiful linguistic and cultural visit. She handed Mr. Cartier the symbolic gift and message by Acting Director of YSUIB A. Tsutsulyan.